1.Get all the documents for a given chunk from the donor shard. 2.Insert all the documents from step 1 into the receiving shard. 3.Delete all the documents from step 1 on the donor shard. 1. Get all the documents for a given chunk from the donor shard. 2. Insert all the documents from step 1 into the receiving shard. 3. Delete all the documents from step 1 on the donor shard. Single Dell R710, (2) Xeon 5540, 16GB RAM, PERC 6/i (256MB, write-back), 8x10K SAS/RAID 10 Ubuntu 13.10 (64-bit), XFS file system 3 mongod shards, 3 config servers, 1 mongos MongoDB v2.4.9 read-ahead set to 16K TokuMX v1.4.0 4GB cache per mongod instance, directIO The schema is Sysbench, with 1 change. Rather than creating 12 tables with 10 million documents each I added a new field “collectionId”, and inserted 10 million documents with each collectionId between 1 and 12. Sharding is range based Shard key is collectionId + documentId Secondary index on collectionId + k Other benchmark specifics Pre-split into 12 chunks, 1 each of collectionId 1 through 12 Prior to loading each shard contains 4 chunks Balancer off for the entire benchmark Java压力测试代码（http://www.tokutek.com/wp-content/uploads/2014/02/blog-mongodb-15-movechunk.zip）, I’ll have it on GitHub soon. 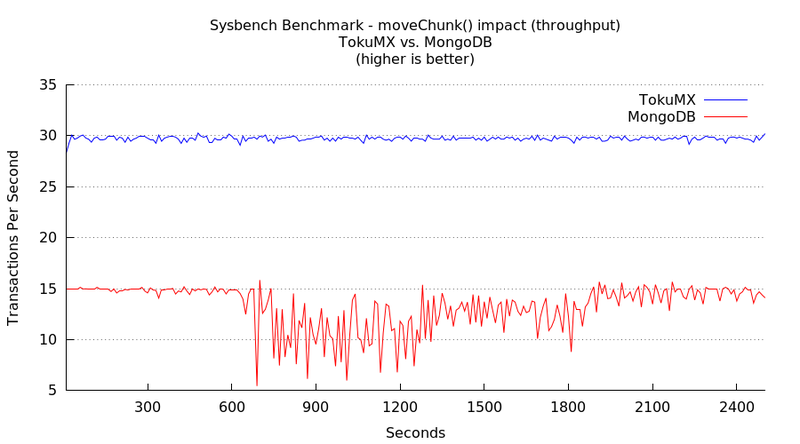 The schema is Sysbench, with 1 change. Rather than creating 12 tables with 10 million documents each I added a new field “collectionId”, and inserted 10 million documents with each collectionId between 1 and 12. 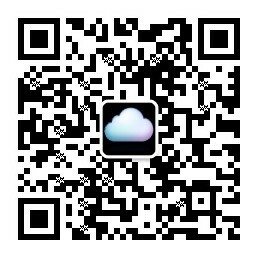 Java压力测试代码（http://www.tokutek.com/wp-content/uploads/2014/02/blog-mongodb-15-movechunk.zip）, I’ll have it on GitHub soon.